We felt like we were somebody as we sat in the parlor after dinner reading our books and nibbling on excellent Butler’s chocolates, passing an evening in the way the royals do. It was such a lovely day. We went to bed that night sighing over our good fortune. I’d love to tell you that our good fortune extended through the night but to do so would be a lie. Woney and I were cozy in our beds, snoozing away, dreaming in limericks in the middle of the night when out of nowhere, a blaring buzzing horn began to echo through the halls of the castle. Woney and I leapt out of bed, hearts racing, instantly alert. We frantically scrambled around for a moment, Woney tripped over her suitcase and faceplanted on the carpet, and we headed for the door. An interesting point of note is that when in Ireland, you should become accustomed to using a real live skeleton key to lock and unlock every bedroom door in all B&Bs and Castle/Hotels. At night, you lock yourself into the room with the same skeleton key you used to unlock the door when checking in. This little nugget of information would have been useful to remember before we jammed our fingers into the locked doorframe and creatively spouted words that would make Madre blush as we tried to dutifully make our smoke alarm exit. It took us a moment, and after we calmed down we donned the fluffy castle robes left for us in the armoire, utilized our skeleton key and exited our room. Perhaps it is because Americans are drama queens or perhaps everyone else lodging at the Castle/Hotel was out whooping it up at the pub at 2:00 a.m., but Woney and I were the only patrons to follow protocol for smoke alarm blarings. We wandered the dark, quiet halls in our snazzy, fluffy robes for a few minutes and then deciding that we were in no danger, headed back to bed. The next morning brought another traditional Irish breakfast, this time with toast, and I made my rounds saying good-bye to the castle. We lugged our ridiculous suitcases and my ridiculous pillow down three flights of stairs and out to the car to take off for another day of sight-seeing. 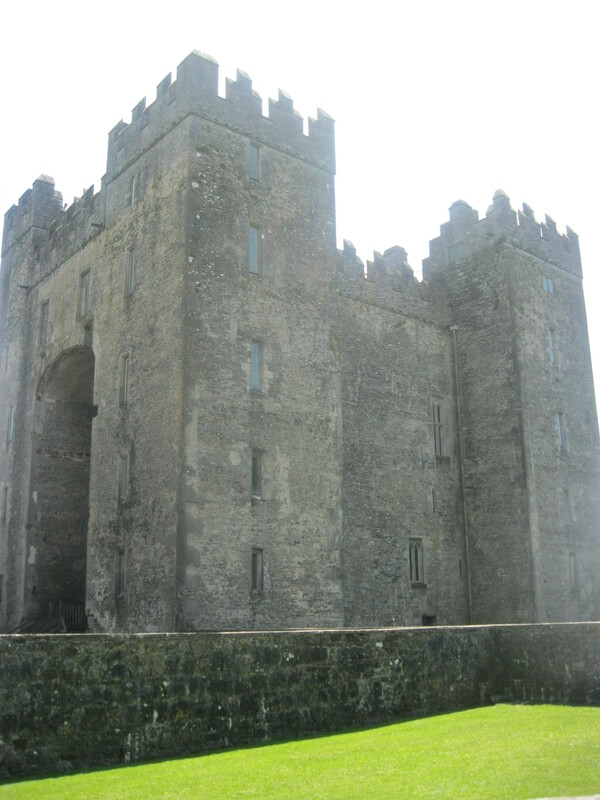 The Bunratty Castle was on our list. Before we could get there, we had to cross a body of water, and that meant a ferry ride. 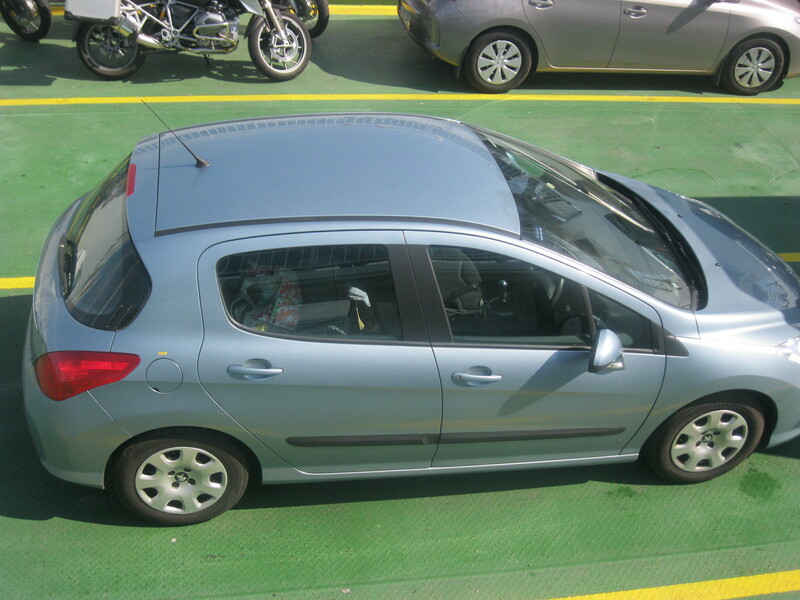 Woney drove our tiny little car onto the ferry, grabbed a hoodie and made for the top of the ferry. I think we both just wanted an excuse to wear a hoodie more than anything but for a few minutes, we saw Ireland from the middle of the water. Awesome. Of course I don’t have a picture because I am a moron. At this point, I’d like you to remember how I alluded to some foreshadowing in one of my earlier Ireland posts. I’d like you to recall the mentions I’ve made re: our getting lost. Oh. My. God. You guys, I am embarrassed to even tell you this, but despite our having specific directions on how to find the Bunratty Castle from the ferry, we got lost. “It’s right next to Durty Nellie’s,” everyone said. “Right next door. Can’t miss it.” Well, miss it we did, at least four times. Finally we just parked at Durty Nellie’s and said, “We’ll go in and ask.” Thank the Lord we didn’t because we would have been laughed right out of the joint. The Bunratty Castle is, quite literally, right next to Durty Nellie’s. They share a parking lot. Our problem, see, was that there was a giant hedge between the two and Woney and I never dreamed that a hedge would hide the castle. We are Philistines. Good for us that we saw it as we entered the parking lot, and so we made our way sheepishly to the castle. The castle was nice. Very authentic. Kind of full of rocks and stones and drafts. 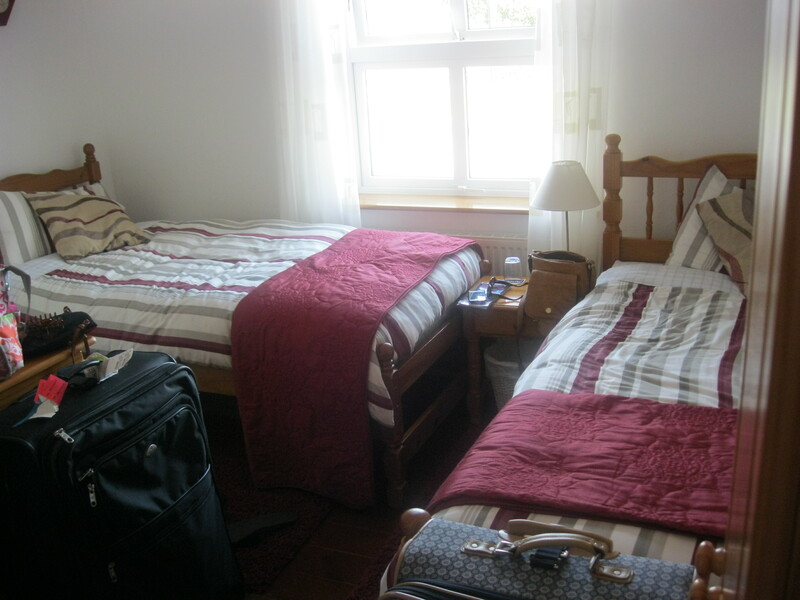 We traipsed up and down the spiral staircases and checked out the bedrooms and narrow windows but honestly, Woney and I were castled out. We attemped a few “oohs” and some “aahs”. At best they were halfhearted. Lunch, on the other hand, was of great interest to us and so we made our way back to Durty Nellie’s for the absolute best toasted cheese and ham sandwich I have ever had or ever hope to have again. I’m very sorry that experience is over. 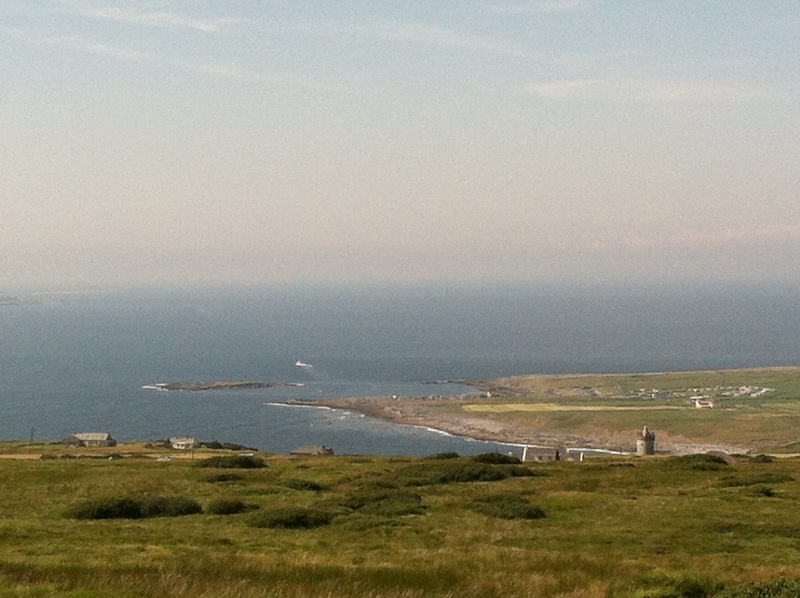 After Bunratty, we headed for Doolin. The next day would bring our tour of the Cliffs of Moher so taking a scenic leisurely drive was of interest as we really had nothing better to do. We simply followed signs to Doolin, having decided that Gwendolyn was an idiot, and remember how I alluded to some foreshadowing in one of my earlier Ireland posts? I’d like you to recall the mentions I’ve made re: our getting lost. Oh. My. God. I’m not sure how we did it but Woney and I ended up in the middle of the back of beyond. Twice. We were on roads that were closed. We were on roads that did not exist. We were on roads that just followed a never-ending circle. Finally we broke down and asked Gwendolyn for help and do you know what she did to us? Took us into people’s driveways. Took us on bicycle paths not meant for cars. She took us around the same road we had already been on. Twice. It was exhausting. I wish we had a Map My Run feature on at the time because I’ll bet the aerial view was ridiculous, like a corn maze except worse. Eventually we topped a hill in the middle of BFE and Woney said, “I know where we are.” How she did that I will never know being as how neither of us had ever been to Ireland before, but sure enough we drove down the hill and straight into Doolin. Here ends the exciting part of my story. Doolin is a very boring town full of very nice people but that’s it as far at the town goes. There’s no shopping. There’s a pub or two but nothing super exciting. I’d like to tell great stories about how wonderful the people were and aside from our bartender, Carmel, and her friend Aine, I can’t. 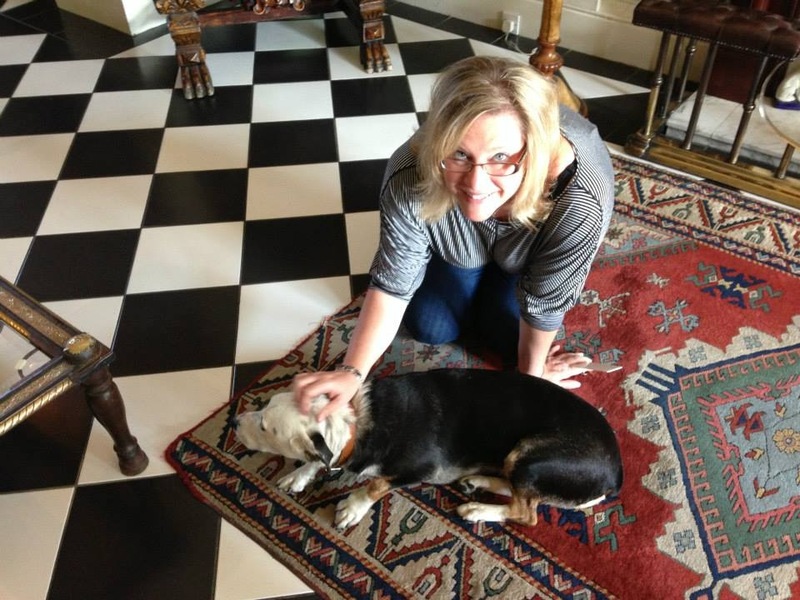 Carmel was fabulous to Woney when Woney got her foot stuck in some tar on the super boring road in the super boring town and for that Woney is forever grateful. I could wax poetic about Carmel all day, really, but seriously, this town was D-E-A-D. I think all their energy goes into the Cliffs and the Cliffs alone. THAT ONE MADE ME LOL AND SNORT!!!!! TOO FUNNY!! !